The mission of the Community Service Program at BB&N is to inspire student commitment to meaningful service and to foster and promote a school-wide culture of service. BB&N believes that working directly with people in need is the most enriching type of service. Therefore, community service at BB&N is defined as an act of providing aid to others in need. In addition, through the Community Service Program, students build connections within our community, broaden their perspectives, gain experience about an organization that supports or uplifts a community, and develop leadership and teamwork skills. BB&N hopes that by the time students graduate, they will have developed a life-long interest in service to others. 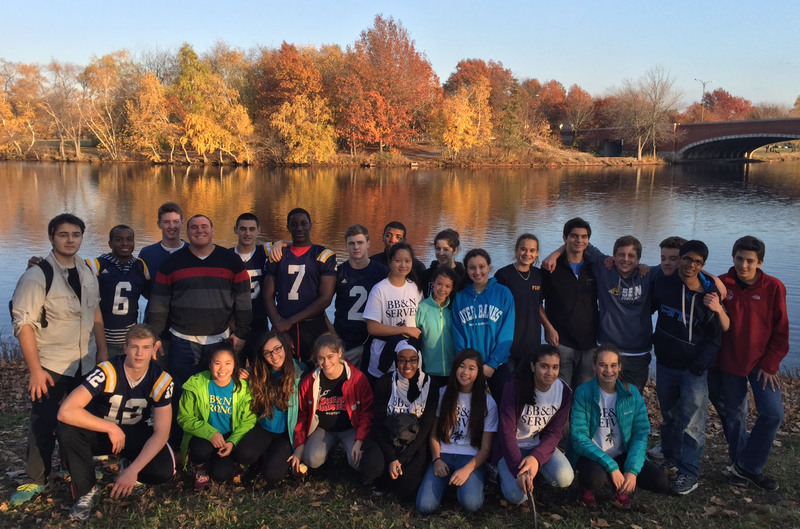 In order to expand our students’ horizons and instill a spirit of service to others, BB&N offers a variety of opportunities for US students to get involved in community service. The school organizes community service afternoons during Mud Week each fall and spring, whereby groups of students travel to local non-profit organizations to volunteer. Every year, we organize two food drives to support the Boston Medical Center and individual families in the Boston area. The school has also organized service learning trips to Peru, the Dominican Republic, Ecuador, and Nicaragua, where students lived with families and participated in a number of building projects to benefit the community. Students can also initiate their own projects through the Community Service Club. A community service assembly is held in the spring to recognize the contributions of students who have gone above and beyond the minimum community service requirement. Upon completion of service, students must submit a 500-word written reflection on their service. This reflection will be collected and published for future students to read. Students are allowed to write about any aspect of their service, the reflection should include a brief summary of their service, a moment memorable to them, and some concluding commentary on how the service impacted their growth and learning. Students may also comment on whether they would recommend this service to others and whether they plan to continue to participate in this service in the future.